In the current geopolitical context, Poland is on the first line of any potential extended military confrontation with Russia. And you can feel, when you speak with people, a sense of nervousness. After all, Poles are historically very close to Ukraine (a significant part of the territory of Ukraine was once part of Poland – but that’s for another discussion). It therefore comes as great news that the Polish government has decided to increase its military budget. In front of the military might of Russia, Poland comes across as David having to potentially confront Goliath. As the Romans said, Si Vis Pacem, Para Bellum. With contemporary history as a witness, who could blame the Polish people for taking no chance? I just came across this very preoccupying article, which attests that many people in Poland – and in other former Eastern European countries – are worried about the current situation in Ukraine. Despite the fact that Poland is left hanging dry by NATO, Poles are still ready to serve as “cannon fodder” and defend their homeland and values. In the event that Poland was invaded and attacked, would we let it suffer the same fate as it endured in September 1939? Let’s hope the answer is a resounding no. 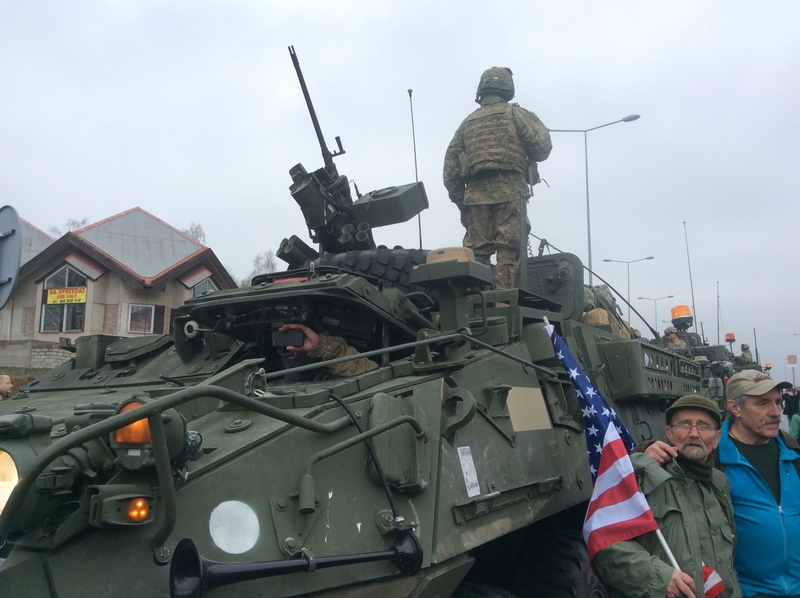 Several Thousands People Cheered U.S. Army servicemen in the Czech Republic. The Star-Spangled banner was proudly displayed by the local residents. 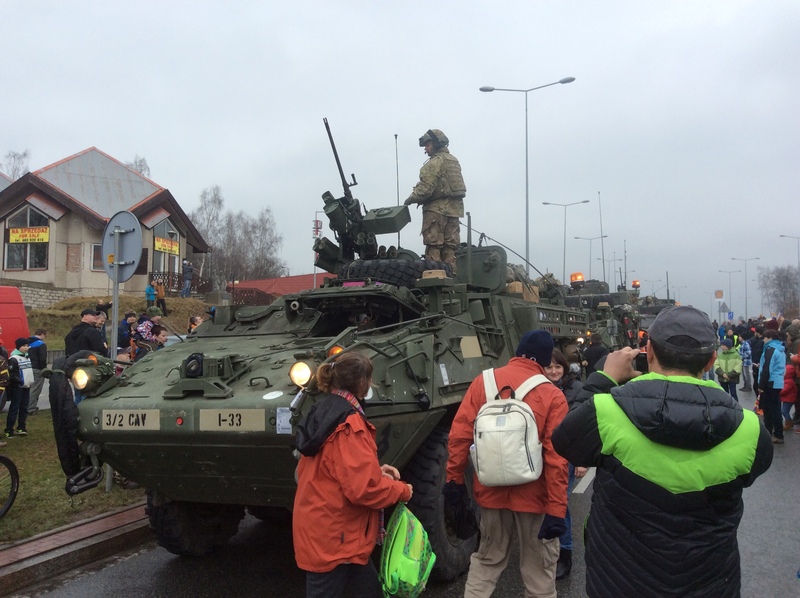 Yesterday (March 29th), on their way from Poland to the Czech Republic, U.S. troops from the 2nd Cavalry Regiment base in Vilseck, Germany, were cheered by thousands of people lining up the road to observe the “Dragoon Ride” convoy. Several dozens of them were waving the American flag with pride. To be honest, I’ve never seen as many Star-Spangled banners (outside the US) as yesterday, in Náchod, a Czech town on the border with Poland. “For us, in the context of the difficult situation we are living, the presence of the Americans is a comforting sight. I know some people are protesting against the U.S. military presence in our country. But they’re a minority. The vast majority of people understand that the Americans are here to help, not to cause problems”, said one Czech man.